The Basilica of Sant’Eustorgio was for many years an important center for pilgrims on their journey to Rome or to the Holy Land, because it was the site of the tomb of the Three Magi. The tomb is currently housed in an urn located in the Chapel of the Kings. The bell tower even carries the star of Bethlehem instead of a cross! 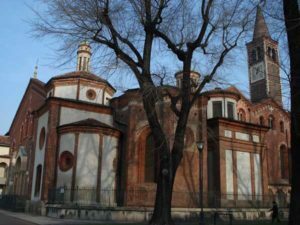 With its series beautifully decorated chapels (commissioned from the 14th century onwards by the main families of the city) and impressive sculptures it’s a definite must see for visitors of Milan. 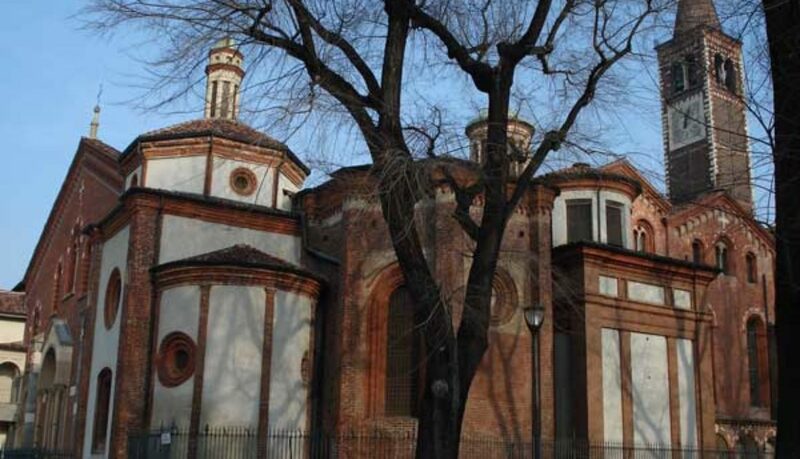 The church is located at the end of the Corso di Porta Ticinese on the way to the Navigli district. The first chapel to the right has a Renaissance sepulcher and a triptych by Bergognone . The next three are more ancient, having frescoes of the Giotto school and tombs of members of the Visconti family. 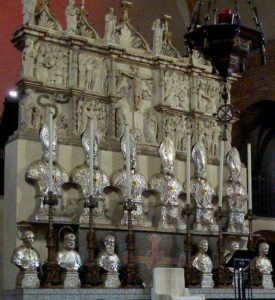 The high altar is an imposing marble polytich of the early 15th century. Also noteworthy are a Crucifixion on a table by a Venetian artist of the 13th century and St. Ambrose Defeating Arius by Figino of the late 16th century. 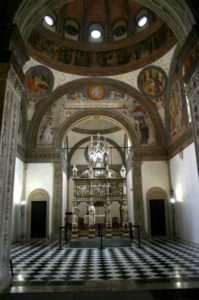 The 15th century Portinari Chapel is one of the most celebrated examples of Renaissance art in Lombardy. It has frescoes by Foppa and a marble ark of St. Peter , a work by Balduccio (1rst half 14th century) with the 8 figures of the “Virtues” set as caryatids to support the sarcophagus. Many pictures of the Cappella Portinari and of frescoes , paintings and sculptures can be seen on the official (Italian) website. 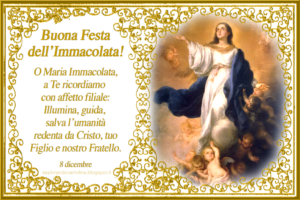 Each year, at the feast of Epifania (January 6th) there is a procession of the Three Magi from Piazza Duomo to the Sant’Eustorgio . Annex to the Basilica, at Piazza Sant’Eustorgio 3 , there is a museum with relics and liturgical artifacts. Completely accessible to the disabled. 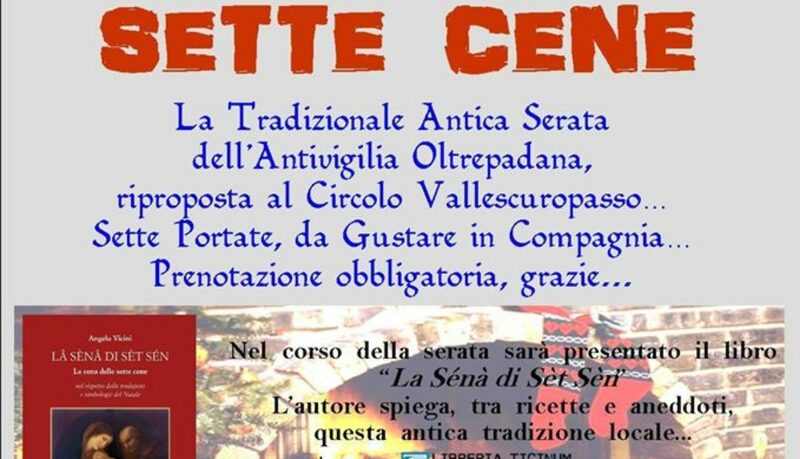 In our region, the Oltrepò Pavese, exists a tradition from medieval times, called la cena delle sette cene, lâ sénâ di sèt sén in dialect, the meal of seven courses. It consists of a dinner with seven fixed dishes, served on the evening of december 23rd. 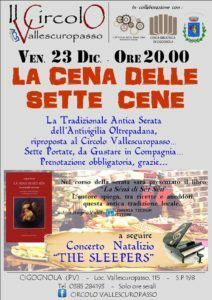 This is the so-called antivigilia di Natale, the pre-Christmas Eve wake. 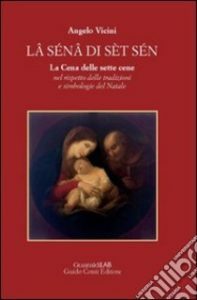 It is also an old tradition to fast on Christmas Eve, la vigilia, the 24th and for the hardworking farmers to survive they needed a good meal on the 23rd. The meal is abundant but also lean, as there is no meat involved, only fish and egg vegetables. The number 7 of dishes has all kinds of symbolic meanings, as always with these type of traditions. God took seven days to create the world, there are seven deadly sins, the day has seven hours of daylight in winter. 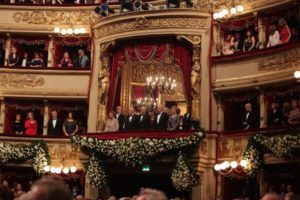 There is also a connection with the classical Saturnalia feast that lasted 7 days from the 17th of december. Each of the ingredients has a symbolic meaning as well, the yellow-orange pumpkin represents the sun, onions and garlic are supposed to scare away evil spirits, the broad tagliatelle of the 4th course are called the diapers of the baby Jesus. The cod is in fact stockfish, brought from the Mediterranean dried and conserved in salt along the Salt Roads. An Italian meal is always accompanied by bread and this holds true for the cena delle sette cene as well. The head of the family would put a large piece of bread, the miccone, on the table to hand out pieces of it at the end of the dinner as a protection against sicknesses. A few years ago we were invited by Italian friends to share this meal with them. A very special occasion indeed! 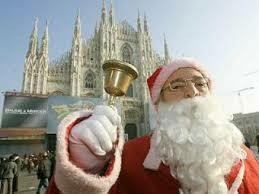 Italian christmas is more or less like the holy feast in other Christian countries. 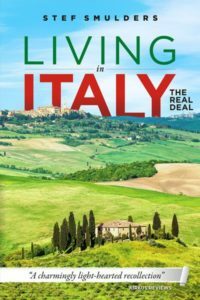 Entire families grab the opportunity, one of several during the year, to come together and enjoy a fantastic, slow, many course lunch, the pranzo di natale. 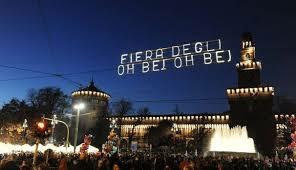 But in the extreme North of Italy, Friuli, Alto Adige and the like, an another feast is celebrated, weeks before xmas. 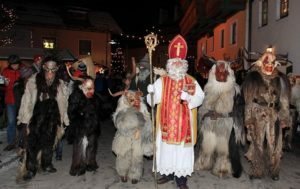 The festa di San Nicolò, as it is called, re-enacts the arrival of the bishop of Mira (Turkey) in Bari in … It is the celebration of the saint’s miracle … During the feast the bishop chases away the evil spirits like the one called Krampus, a part human part goatlike monster. In addition San Nicolò checks which children have behaved the previous year and which haven’t. The good ones receive sweets, caramelle; the bad ones pieces of coal, carbone. There is a clear relation with another, very Italian feast here, the arrival of the Befana witch early January. In the course of the ages traditions have interchanged and become entangled a little. The origin of this early December tradition of San Nicolò lies in Germany. The feast is very traditional in The Netherlands, more so than the American Santa Claus who arrives at Christmas. 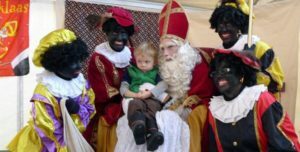 In Holland the saint is not accompanied by a devil-like figure like the krampus but by dark-skinned servants, each of them called Black Pete. The servant’s looks have changed over the years, at some point becoming some sort of black slave caricature, with earrings, curly hair and thick red lips. The arrival of black immigrants from former colonies like Surinam and the Antilles together with the recognition of the dark past has now led to a very ‘lively’ (and agressive) discussion. 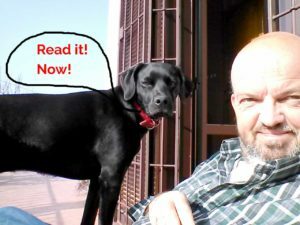 Is a feast in which a black slave like figure plays a role still acceptible in modern times? An ever increasing minority thinks it is not. 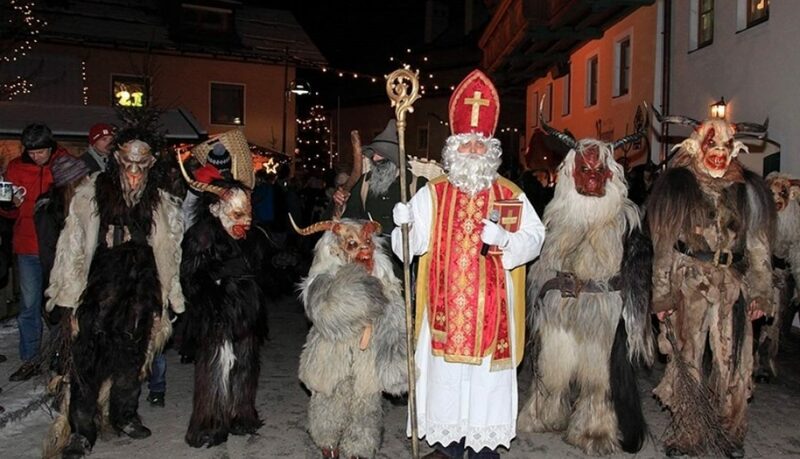 Time to import the German and North Italian Krampus?